"Abraham Cooper, the painter of sport, animals and battles was born in London in 1787.Cooper was first employed as a walk-on actor in Astley's theatre but he would spend much of his spare time sketching dogs and horses. 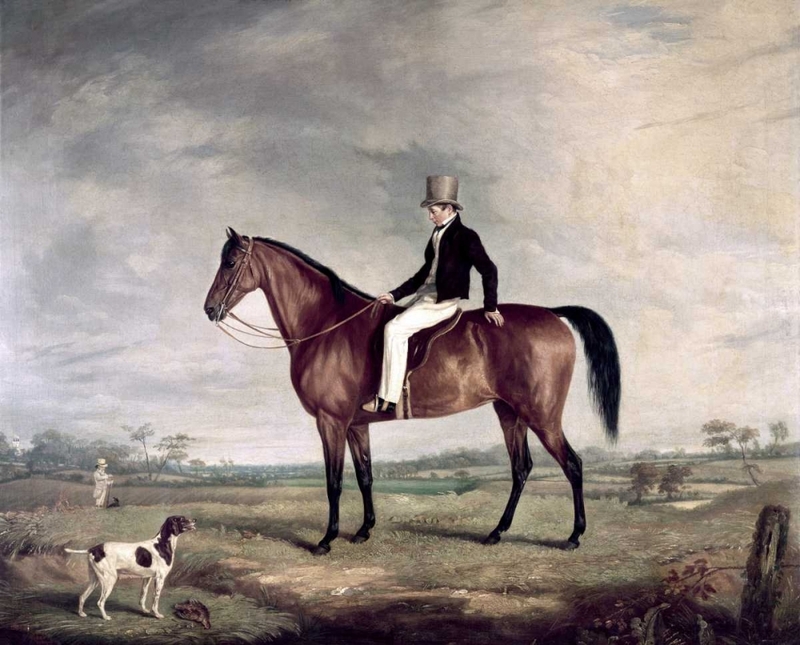 In 1809 he succeeded in painting a favourite horse belonging to Sir Henry Meux so well that the owner bought the painting immediately and became the artist's patron. This proved to be the beginning of his career and he soon met further encouragement as a painter of horses from the sporting nobility and gentry and many of his works were engraved in the Sporting Magazine.In 1820 Abraham Cooper became a Royal Academician and exhibited pictures representing groups of horses and animals, field sports and battle scenes at the Royal Academy, the British Institution and Suffolk Street.Abraham Cooper died in 1868."